I have had the opportunity to help many home buyers and sellers reach their real estate goals. I would love the opportunity to meet with you and show you how I can help you as well! Buying and selling a home is one of the largest financial transactions that most people ever undertake. My goal is to help you navigate the process and make the experience as easy and enjoyable as possible. I am a Real Estate professional who began my career back in 2004. Raised in Templeton, CA and having lived all over the County, I know many areas and have experience assisting clients purchase and sell properties across the Central Coast. 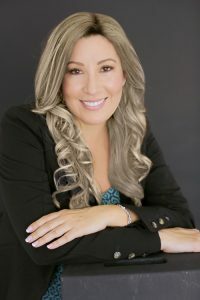 I bring extensive knowledge into the realm of each real estate transaction, representing clients throughout the county. I offer a diverse set of skills for each and every unique transaction and am well versed in a wide variety of real estate sales transactions. I would like to discuss with you why the Central Coast is the place to purchase your next investment! I have been a homeowner, landlord, and investor, on California’s beautiful Central Coast for many years. My knowledge will ensure you get the attention to detail needed throughout your transaction. I also have personal knowledge in Real Estate Title, Title Insurance, Escrow processes, and lending options to really round out my real estate knowledge and ensure you are looked out for during and after your entire transaction. I have the expertise, proven track record, and resources to help you buy or sell your next home. Enthusiasm, knowledge of the area, and personal concern for my client’s interests combine to make me an outstanding resource and number one choice for your next real estate transaction. When you are ready to discuss your real estate needs and goals, or if you have any questions, I am always available to help, via text, email, or a phone call away!